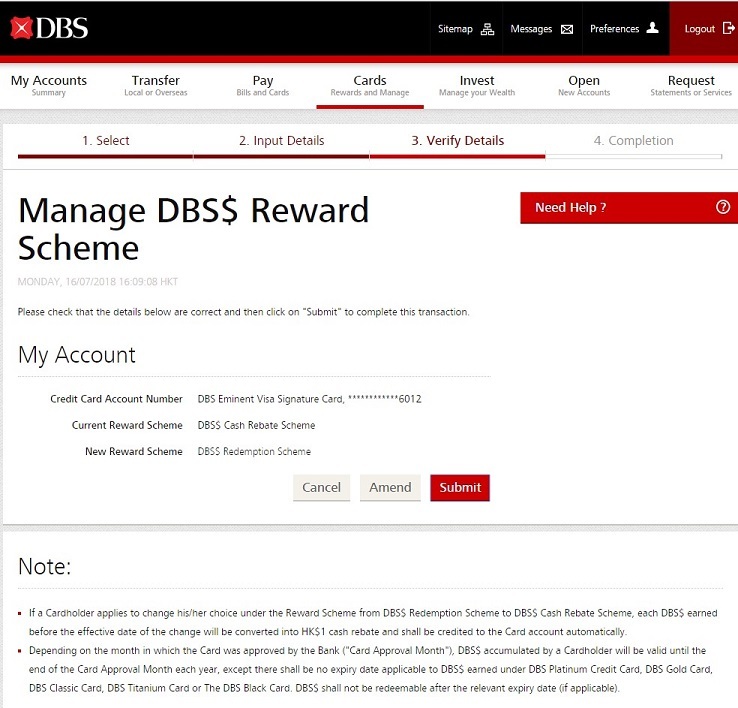 You may change your DBS$ reward scheme through iBanking. 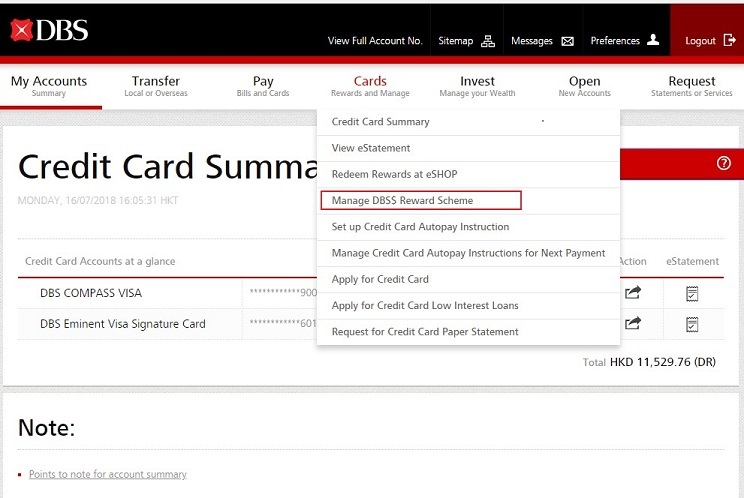 You can choose to enroll DBS$ Cash Rebate Scheme or DBS$ Redemption Scheme of your credit card (excepts COMPASS VISA Platinum). 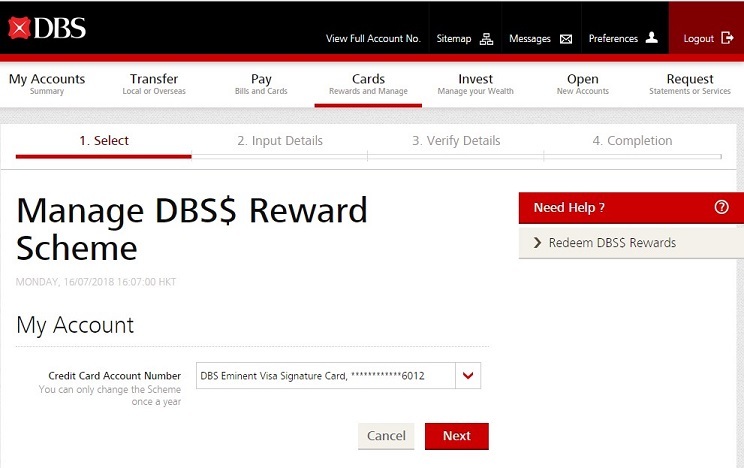 You can download the application form here and fax to 2834 8903 or return by mail to Cards and Merchant Servicing, DBS Bank (Hong Kong) Limited, 13/F., Millennium City 6, Kwun Tong, Kowloon, Hong Kong (Please indicate “DBS$ Reward Scheme” on envelope). No fee will be charged for this arrangement.